Today I am posting a video that I made showing how to make a Z Fold Card. 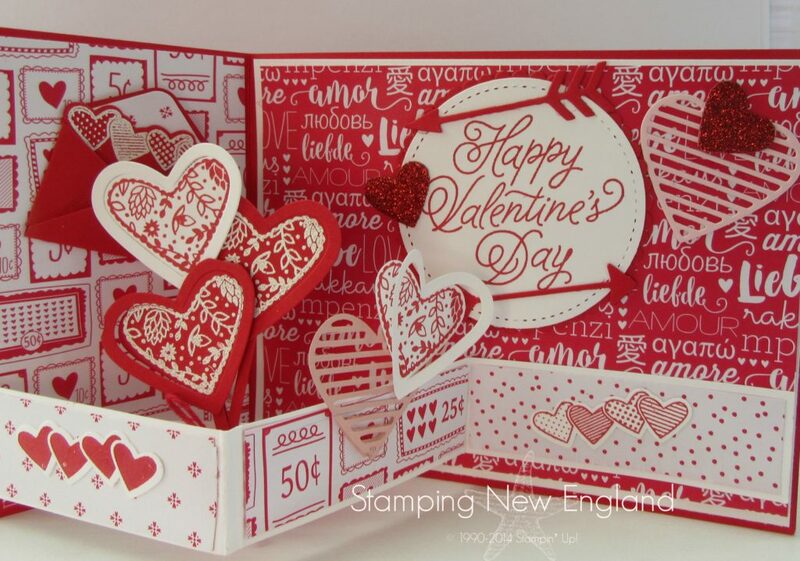 These cards have been really popular lately and can be made with virtually any stamp set. Here are 3 examples! 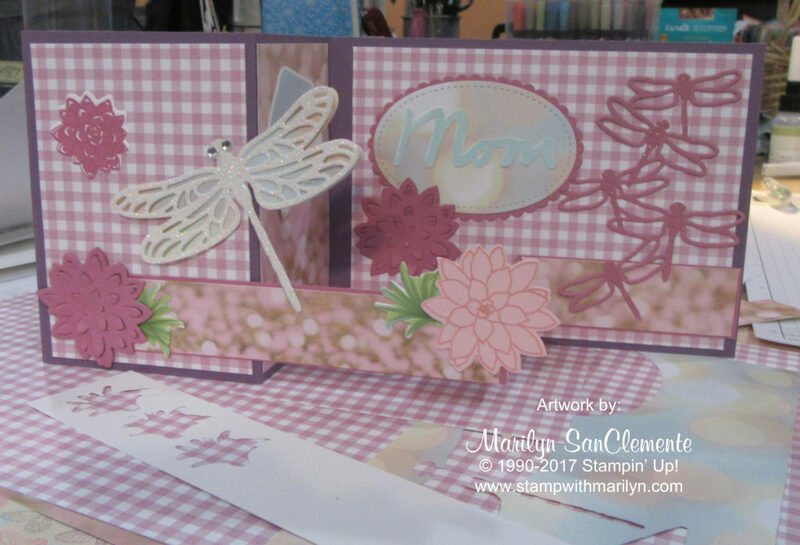 This top example is a card that is made using the Dragaonfly Dreams stamp set (designed by one of my customers). It uses the Succulent Garden Designer Series Paper combined with a piece of the Falling in Love Designer Series Paper, both from the current Stampin’ Up! Occasions catalog. Both the Dragonfly Dreams and Oh So Succulent Stamp sets are used to create the stamped images for this card. This second card is made using the Lift Me Up stamp set with the Carried Away Designer paper from the Occasions and Sale-a-bration catalogs from this spring. One of the things that I love about this card is using the design of the Carried Away Designer Series Paper in the design. 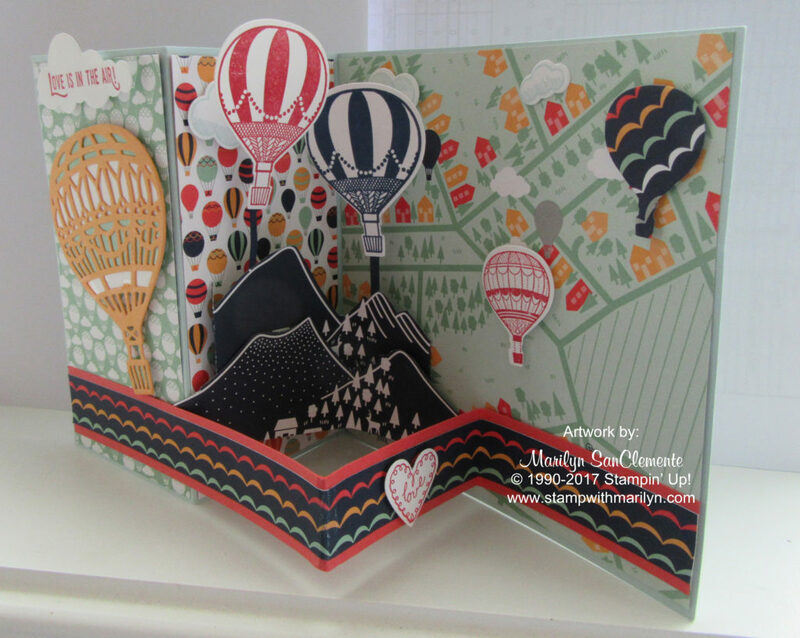 I cut out the mountains out of the Designer paper and used those on the 3D center portion of the card along with the map. My son is moving to Canada next week for a new project with his job. What a great card for him – moving onto new adventures! A few weeks ago I posted this card for Valentine’s Day using the Sending love Designer Series Paper with the Sealed with Love Bundle. This was actually the first Z Fold Card that I made. Don’t forget to download the FREE PDF with full instructions at the end of the video! Thanks for stopping by and checking out these great cards!